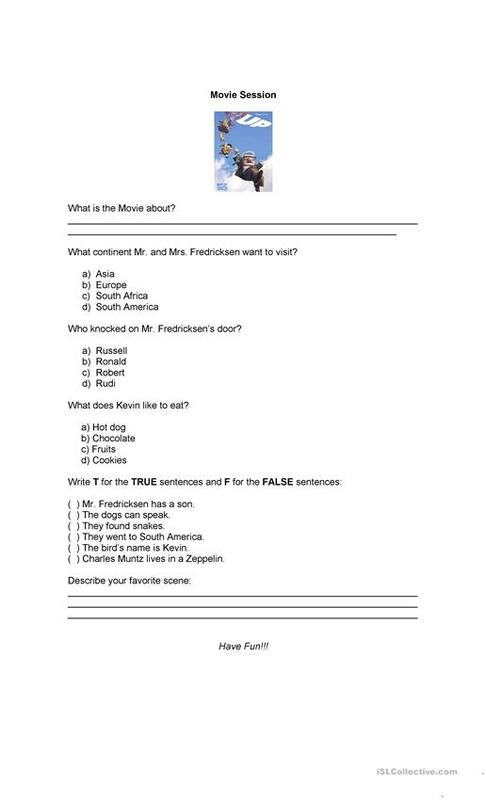 The students are going to wath the movie UP and then answer the questions. The above downloadable handout is recommended for kindergartners and nursery school students at Beginner (pre-A1) level. It is excellent for honing your learners' Listening and Writing skills.